1) It is applicable for low temperature continuous concentration of heat sensitive materials (such as milk, fruit and vegetable juice and liquid medicine etc.) under vacuum. 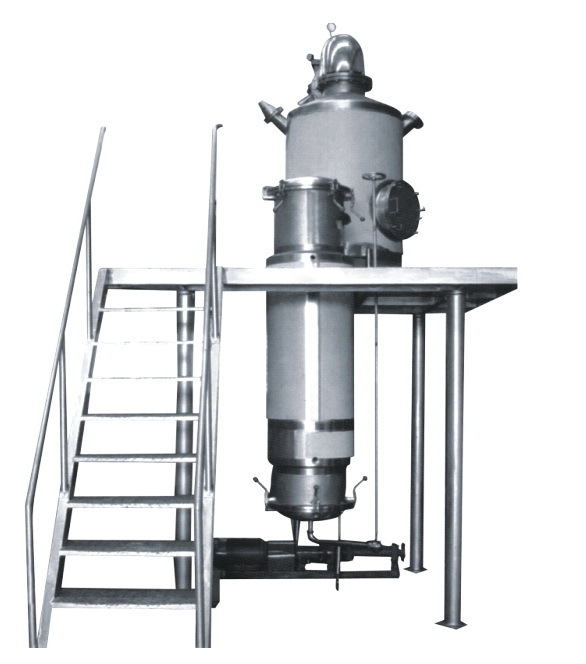 2) It is used for concentrate the solvent containing water or organic solvents but dilute low level of suspended solids. 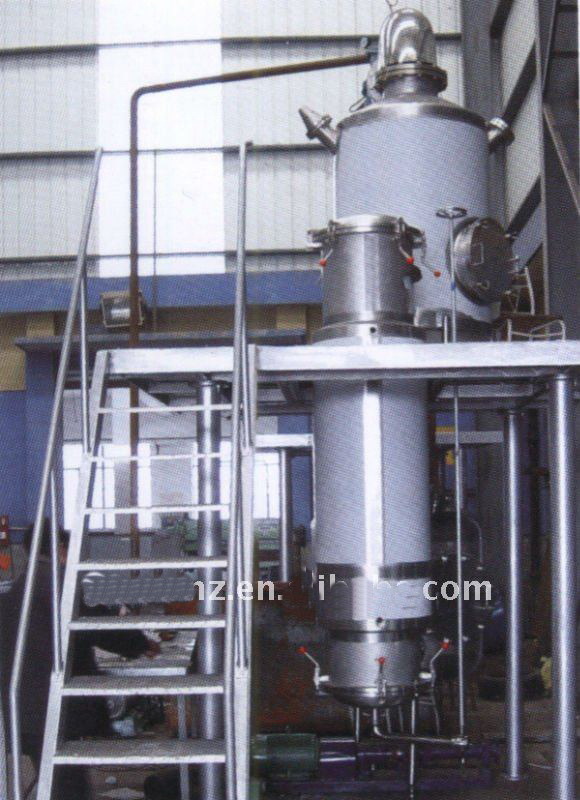 Such as pollution, solvent recovery, wastewater treatment, the concentrated extract, fruit juice concentrates, etc..
1) After being preheated, the raw material liquid enters into the heating tube through the bottom of the evaporator. The heating steam carries out condensation out side the pipe. After the raw material is heated, it is boiled and vaporized. 2) The secondary produced will rise at a high speed in the tube and drive the material liquid to flow upwards along the interior wall of the tube in the form of rise and carry out continuous evaporation and vaporization with accelerated now. 3) The gas-liquid mixture will be separated after they enter into the separator. The completed liquid after concentration will be discharged from the bottom of the separator. This evaporator needs elaborate design and operation. That is, the secondary steam in the heating tube shall have higher speed and higher transfer coefficient to make the liquid reach the preset concentration requirement when it passes through the heating tube only once. 4) Generally, under the normal pressure, the speed at the outlet at the top of the tube shall be kept about 20~50m/s, and during the relief operation, the speed can reach 100~160m/s.